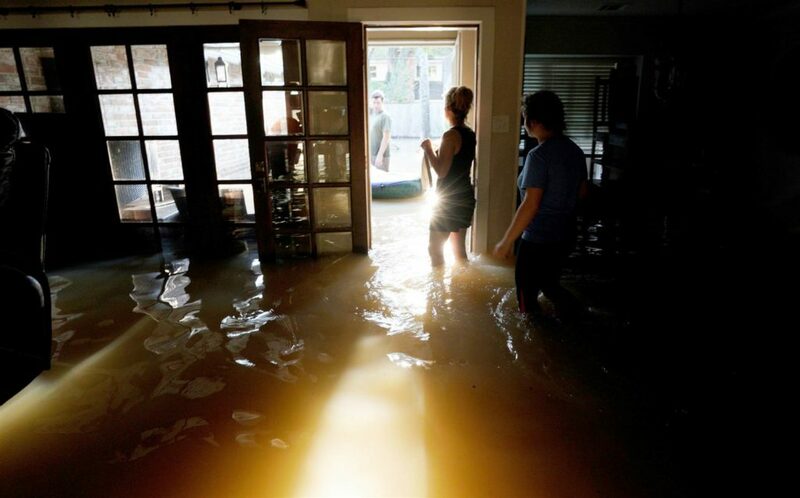 If you’re into preparedness, odds are you take a long(er) range view of world events than most, in preparation for a day when some disaster will darken your door in hopes of mitigating the impacts from said disaster on your family and friends. But what about when you’re fortunate enough to be spared by disaster? Do you just sit on your supplies and be thankful you were spared. Or do you take a more sinister and darker view, growing paranoid assuming it’s just a matter of time and figure not having to use your supplies this time around just means you’re farther along in your preps for the next time disaster comes knocking? Well, there is another option you may not have considered. We have always said that being prepared puts you ahead of the game in most instances and this fact can prove beneficial in a number of ways. Not only will you and your family suffer less from the impacts of any disaster, but by preparing you put yourself in position to possibly help others. In turn, this will help community response efforts by taking some of the pressure off the system. 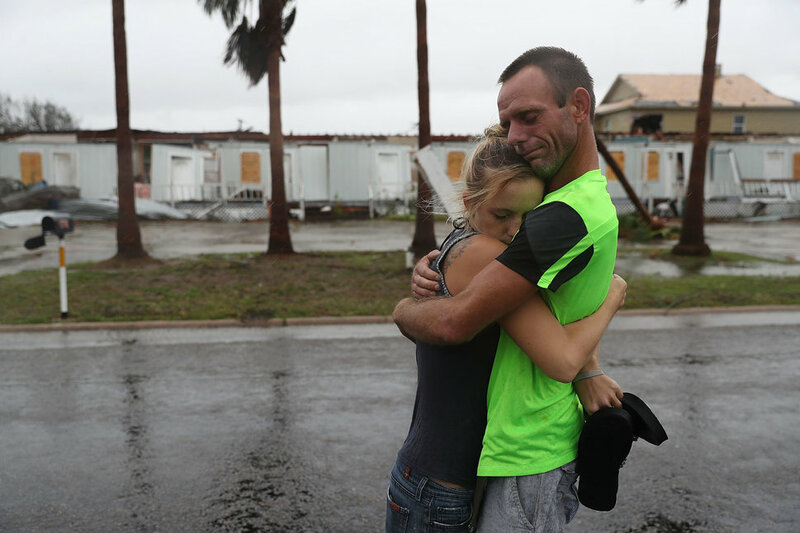 One immediate action step you can take post disaster is to help strengthen your community’s resilience by choosing to share some of your supplies to help those in need that were not fortunate enough to be spared by the storm. 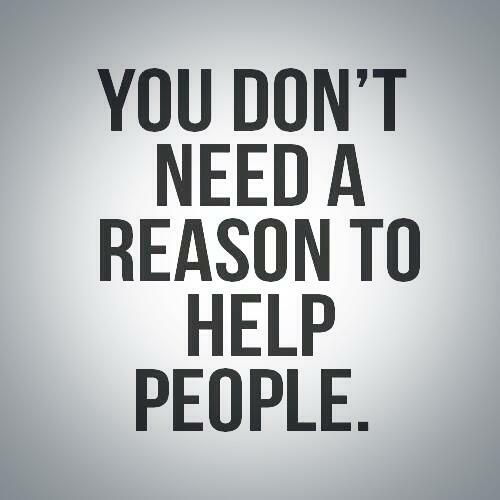 Do not fear violating your personal OPSEC (operational security) by stepping up to help others. This can easily be done anonymously through community agencies such as churches or local governments. Rotating supplies is a must (FIFO) when you store preparedness supplies, especially food goods. The easiest way to work through your stores is simply to rotate them into your everyday routine when everything is normal. This concept works for all of your supplies, but especially when it comes to food stuffs. When a disaster rolls through your area, but you are not directly impacted, you have a tremendous opportunity to bless others by passing along a few of the supplies that you have been blessed enough to have had the opportunity to acquire ahead of time. The easiest way to implement this positive action step is simply find some of the oldest items in your stored food supplies (and/or other goods if you choose) that you haven’t worked into your everyday meal plan and pull them out. If possible, you may want to take just a moment to balance your gift with a little variety, but anything you can afford to spare will be a tremendous benefit to the recipient and will be very much appreciated. 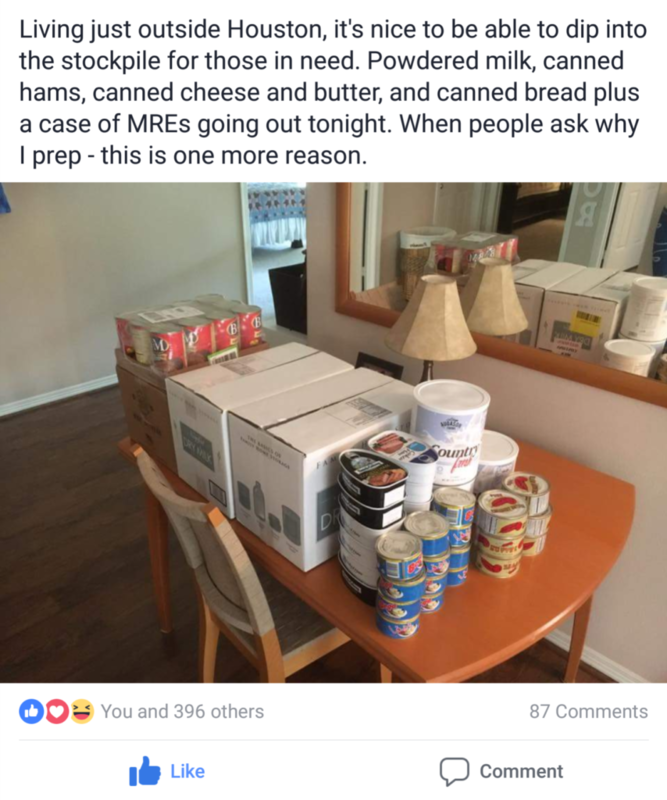 This is just one example of a scene I am certain played out in many other prepper homes following that storm, and every other disaster too. It shows the best of what the preparedness community can be in an emergency. Despite what you may be told by the generic media or led to believe on internet forums, most preparedness minded folks do not view the world as a zero sum game and are not all just out for themselves. We are normal people with big hearts that care about our families and our fellow citizens. In a world where you do not have to look far to find the impacts of disaster or feel the anxiety and fear of crisis, there is no shortage of opportunities to step up and help someone. If you are fortunate enough to be able to secure a comfortable level of preparedness for yourself and your family, I want to encourage you to reach out to help someone in need the next time disaster strikes your community. In doing so you may find that you can increase your spheres of influence and maybe even introduce someone else to the idea of personal preparedness. Who knows? 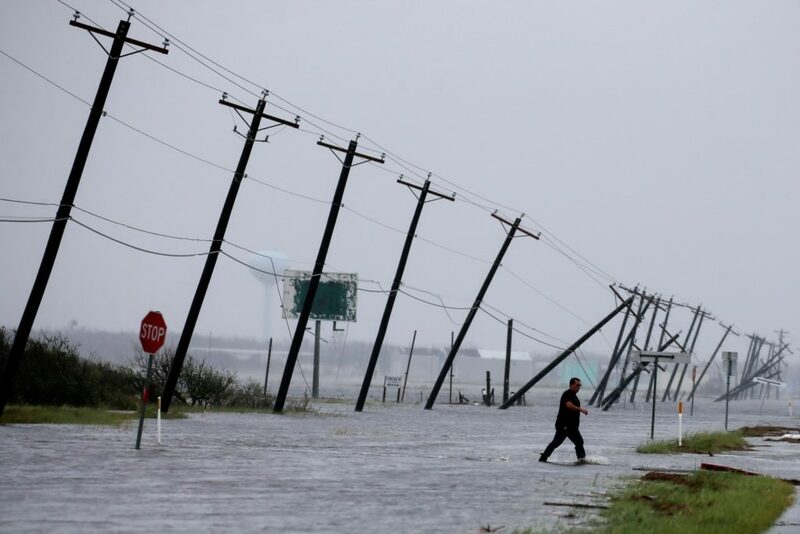 Down the road, they may be the one in position to help another person or family after the storm and in the end, we will all be better because of it. If you want to better understand my thoughts on personal preparedness, please check out my books HERE and HERE, or wander deeper into this blog. I hope this website will help you along your way, especially if you’re just getting started. Keep up with everything Practical Tactical by subscribing to our mailing list and be sure to LIKE, SHARE and FOLLOW us across all of our social media platforms as well. charity, civilization, Crisis, disaster, Florida, food, Food Storage, Houston, Hurricane Harvey, Hurricane Irma, hurricanes, Nation Makers, personal preparedness, PRACTICAL PREPPING: NO APOCALYPSE REQUIRED, preparedness, prepping, readiness, self-reliance. Bookmark.